Palestinians say that Shaheen and Fattash are among dozens of "political detainees" who are being held in Palestinian Authority (PA) prisons and detention centers in various parts of the West Bank. According to some human rights organizations, the Palestinians held in PA prisons are often subjected to various forms of torture. In a letter to Office of the United Nations High Commissioner for Human Rights, a number of Palestinian human rights organizations recently demanded that the international agency speak out against the politically motivated arrests by the PA in the West Bank. It is highly unlikely, however, that the human rights organizations will receive any reply from the UN, whose various agencies continue to be obsessed only with Israel. 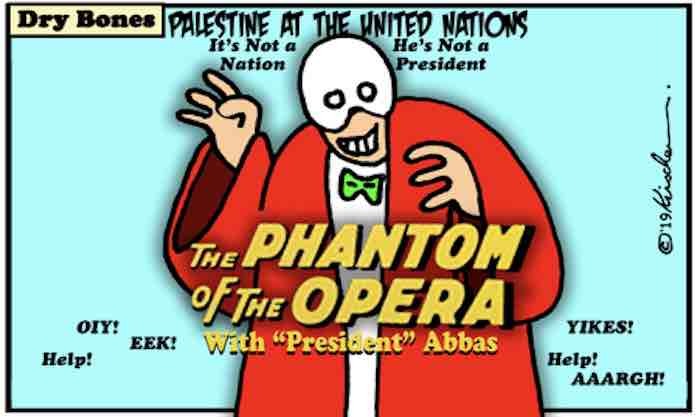 The UN does not seem to care about human rights violations committed by the PA against its own people. These are the type of stories that evidently do not interest either the UN or the international media because they lack an anti-Israel angle. The only "abuses" they see are those that can be blamed on Israel. What is happening in the PA-controlled territories and prisons in the West Bank is a tiny taste of what life for the Palestinians would be like under a totalitarian regime that does not tolerate any form of criticism. In both the PA-controlled territories and Gaza, Palestinians must resort to the desperate measure of closing their mouths to food because they cannot open their mouths to demand decent treatment. For Jordan, the main problem is finding the solution to the refugee issue at its expense. Jordan would have to come to terms with the fact that millions of Palestinians would finally get full citizenship and participate in domestic politics – and what might be worse – would have to settle within Jordan’s territory refugees from Lebanon to help Lebanon restore its ethnic balance. While the issue remains open, an option may remain for them to return to “Palestine,” whether inside the West Bank or inside Israel itself. Meanwhile, the Bedouin sector, which is the mainstay of the Jordanian army and administration, refuses to surrender any power to Palestinians and is currently relatively calm. Jordan is not prepared for such an agreement, not even for the hefty funds that would be offered as part of the deal. It is concerned that if it refuses, Saudi Arabia will pressure it with regard to Jordan’s traditional tie to Jerusalem, but there are no signs that Saudi Arabia is interested in Jerusalem. However, from Jordan’s point of view, happy is the person who is always worried. Egypt has two reservations: It does not want to take responsibility for Gaza, and it seeks to limit its connections with Hamas to security issues in Sinai only. However, its main reservation is the issue of the Arab version of NATO (North Atlantic Treaty Organization). Im Tirtzu – 6 Facts You Need to Know About Israel’s Legal Rights. The video was created within the framework of a joint initiative between Im Tirtzu and Canadians for Israel’s Legal Rights to educate the Israeli public about the legal rights of the Jewish People to the Land of Israel. - holding educational panels on the subject featuring leading Israeli personalities. US Secretary of State Mike Pompeo announced on Tuesday that the highly anticipated Trump administration’s peace plan for the Israelis and Palestinians—commonly referred to as the “deal of the century”—is expected to be released after the April 9 Israeli elections. Addressing via video conference the World Economic Forum in Davos, Switzerland, Pompeo assured that there is a way forward for Israelis and Palestinians to finally make amends. This is in spite of a collapse in relations between the United States and the Palestinian Authority since US President Donald Trump recognized Jerusalem as Israel’s capital a year ago, in addition to making moves such as relocating the US embassy in Israel to Jerusalem and closing the Palestine Liberation Organization mission in Washington. Pompeo said peace talks will not be “driven” by the United States, but by Israelis and Palestinians themselves. Nonetheless, he referenced a US-led timeline after Israelis vote. Iran has spent $7 billion annually on terror in the Middle East, including in the West Bank, where it wants to open a fourth front against Israel, Ambassador to the United Nations Danny Danon told the Security Council on Tuesday. “The Iranian regime’s obsession with Israel is not just well-known,” he said. “It is expensive. Seven billion dollars annually are directed toward the never-ending attempts to destroy Israel.” Danon spoke before the council’s monthly meeting on the Middle East. The Strategic Affairs Ministry on Wednesday accused the European Union of funding organizations that support the Boycott, Divestment and Sanctions movement to the tune of millions, urging Brussels to make any financial aid to NGOs contingent on an explicit commitment to opposing boycotts of Israel. The EU responded by saying that it opposes BDS, but will defend freedom of speech, noting that it similarly rejects actions to “close the space” for civil society groups. In a new 34-page report, the ministry said the EU had given more than €5 million (about NIS 21 million) to at least 10 NGOs that promote boycotts against Israel. The report, entitled “The Money Trail: European Union Financing of Organizations Promoting Boycotts against the State of Israel,” showed that two prominent pro-Palestinian NGOs, Al-Haq and Al-Mezan, were last year awarded a multiyear grant of over €750,000. “The time has come for the EU to begin a deep reexamination of its policies,” Strategic Affairs Minister Gilad Erdan said in a statement. Then you clearly don't know what we know. “For more than half a century, Israel had continued to disregard the inalienable rights of the Palestinian people, while committing inhumane policies and practices that were in clear violation of international laws,” he added. New disclosures by the Dutch government call into question the UN human rights office’s denial that it handed over names of activists to the Chinese government, and we urge the UN to clarify. In a letter from Dutch Foreign Minister Stef Blok, replying to queries filed by Dutch lawmakers over the controversial 100,000 Euro human rights award given by the government in September to former UN rights chief Zeid Ra’ad Al Hussein, it was noted that the UN Ethics Office confirmed that a “list of names” was handed to Chinese authorities by the UN rights office, of activists registered to attend sessions of the UN Human Rights Council. Israel and the US blocked on Monday a Palestinian attempt to gain observer status for the year on the UN-linked Conference on Disarmament (CD), arguing that only states are eligible for this privilege. 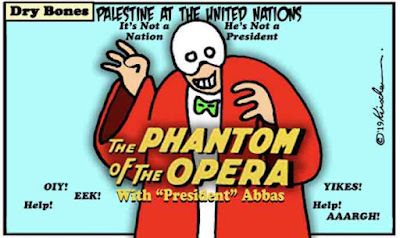 Israeli officials said that the Palestinians had hoped to leverage their recent ascension to head the Group of 77 – a group of 134 developing states, plus China, that makes up the largest group in the UN – to gain admission into other UN-affiliated bodies. Sixty-five states are members in the CD, and each year at its first annual meeting, it approves a list of countries seeking to take part in the discussions as an observer state for the year. This year, 34 states applied, with the Palestinians being the only rejection. Decisions on this matter are taken by consensus, and when the chair of the conference put Palestine up for consideration, both Israel and the US broke the consensus, arguing that “Palestine” is not legally a state. When Guterres was asked how bringing back the Ottomans would solve problems in Iran, Pakistan, and Afghanistan, he advocated for bringing back the Safavid and Mughal Empires as well. A report in Israeli news revealed that when Palestinian Authority chief Mahmoud Abbas was close to death this summer, Israel sent a specialist to Ramallah who helped to save his life. When it became clear that Abbas was on the brink of death, Israel sent a top specialist to Ramallah, who joined a team of doctors from around the world who were treating the PA leader. Just two days later, Abbas’s condition began to improve, and he was discharged from the hospital a week later. The Jerusalem District Court issued on Tuesday a tentative lien for a plot of land in Jerusalem belonging to former Palestinian leader Yasser Arafat. The court gave the order at the behest of terrorism victims who filed a civil-damages lawsuit against the Palestinian Authority and Arafat’s estate. The plaintiffs, consisting of eight families of terror victims, are represented by attorneys Moshe Segal and Nitsana Darshan-Leitner, president of Shurat HaDin-The Israel Law Center. They said that if they win the lawsuit, it will be hard to get the restitution from the property, and therefore also requested to issue the lien on the estate so they can gather their damages. A lien is a right to have possession of property belonging to another party until a debt owed by that party is paid off. The land involved is a 0.675 acre plot, mostly located inside the cemetery on the Mount of Olives, inherited by Arafat. His estate owns less than 0.5 percent of the area, which has not been split up among its many owners. Nonetheless, the judge ruled it was legally possible to enact a temporary hold on the entire property. Israeli tanks shelled Hamas targets in the Gaza Strip on Tuesday, killing one Hamas terrorist after an IDF officer was shot and wounded by a Palestinian sniper near the border. Armed Palestinian factions in Gaza later convened "to discuss a proper response to the crimes of the Zionist occupier." Later Tuesday, Israeli aircraft carried out multiple strikes on a Hamas military site in northern Gaza. Reports that largely cited Hamas sources inside the coastal enclave, however, said the commander of Iran's Quds Force, Maj. Gen. Qassem Soleimani, is behind the current efforts to escalate hostilities in Israel's south. In all likelihood, it was also Soleimani who gave the "green light" to the Palestinian sniper who shot the IDF officer, who miraculously was only lightly wounded after the bullet hit his helmet. Palestinian Islamic Jihad has orchestrated the provocations along the border in recent days and unlike Hamas, it is beholden first and foremost to its patrons in Iran. As a reminder, Soleimani's forces in Syria were dealt a resounding operational blow on Sunday by Israel, which destroyed numerous Iranian military targets in response to an Iranian missile fired at the Golan Heights. Border Police on Wednesday released a video of a December operation in the West Bank in which security forces killed a terrorist who murdered two Israelis at the Barkan Industrial Zone. The clip shows Yamam, the police counter-terrorism unit, backed by army forces, as they raid the building in Nablus where fugitive Ashraf Na’alowa had been hiding. It includes helmet cam video and footage from a lookout post as the forces enter the building and exchange fire with Na’alowa. Na’alowa was shot dead during the December 13 operation, after a two-month manhunt. On October 7, Na’alowa, 23, killed his coworkers Kim Levengrond Yehezkel, 29, and Ziv Hajbi, 35, at a factory where all three worked in the Barkan Industrial Zone. Another Israeli woman was also injured in the attack. The Shin Bet security service has said Na’alowa appeared to be planning to conduct a second terror attack at the time of his killing. Netanyahu appeared to be responding to an unconfirmed report in a Kuwaiti paper according to which Soleimani, head of the Iranian Revolutionary Guards al-Quds Force, told Iranian leaders that strikes deep inside Israeli territory could bring down Netanyahu in the April 9 vote. According to the report in al-Jarida, during a meeting with the Supreme National Security Council in Tehran Monday, Soleimani said that Netanyahu will likely only seek to escalate tensions along the Israeli-Syrian border in order to boost his popularity in the elections. He also allegedly called for a policy of firing three missiles in response to any Israeli airstrike in Syria. Iran’s commander of the Islamic Revolutionary Guard Corps’ Quds Force, Maj.-Gen. Qassem Soleimani, was less than an hour’s drive away from Israel’s border on Friday, according to a report by Kuwaiti paper Al-Jarida. This visit, the report claimed, is what triggered Israel’s rare daytime strikes on Iranian targets in the vicinity of Damascus International Airport on Sunday. This, in turn, led to Iranian forces launching a surface-to-surface missile toward northern Israel an hour later. Quoting a source, the report said that Soleimani – one of the most prominent and influential military figures in Iran – visited eastern al-Ghariyah in the Deraa province less than 40 km. from the Israeli-controlled Golan Heights. According to the source, Soleimani’s visit to a home in the area between 8 p.m. and 10 p.m. was monitored by intelligence officials. “Soleimani’s visit to a location less than 40 km. from the ceasefire line in the Golan Heights violated a previous US-Russian-Israeli agreement” regarding the Iranian presence in the war-torn country, the report said. Israel has worked closely with the United States and Russia to try to get Iranian and Hezbollah forces to leave Syria, where they have been fighting alongside forces loyal to Syrian President Bashar Assad, since the civil war began there in March 2011. The establishment of a network of precision missiles by Iran and Hizballah on Israel’s borders could give [the two] the ability to deliver a paralyzing blow against [Israeli] civil and military systems, causing enormous damage and changing the strategic equation in the theater. To be sure, this threat is not as severe as [that of a hostile power acquiring nuclear weapons], but neither is it akin to the threat posed by a buildup of weapons intended for warfare between armies or of [imprecise] weapons aimed at the home front. This is a new category of threat, and because of its severity, the overarching response must be one of prevention rather than of delay, containment, preemptive strike, or active and passive defense. . . . In order to achieve prevention, Israel’s goals must be twofold. First, it must force the relevant actors to change their policy. Iran and Hizballah must suspend or abandon their drive to establish a network of precision weapons on Israel’s border, and the Syrian regime and Russia must actively oppose any further such efforts by Iran and Hizballah. Second, Israel must continue to deter any renewed attempts by Iran and Hizballah for the long term. . . .
Where's David’s Sling and why wasn't it used to intercept Iran's missiles? At around 2:30 p.m. on Tuesday, Israelis enjoying the slopes of the Mount Hermon ski resort heard a loud bang and saw smoke trails in the skies above them. The Iron Dome missile defense system had intercepted a long-range missile fired by Iranian forces in Syria. The missile was an Iranian-made surface-to-surface model with a range of some 200 km with a payload of hundreds of kilograms of explosives that was fired from the outskirts of Damascus. The launch of this type of missile doesn’t happen at a moment’s notice, it took months of preparation and the approval of the highest officials in Tehran. Israeli intelligence must have identified the chatter. They knew it was coming. According to Syrian reports, an hour earlier Israeli jets had carried out a rare daytime strike on Iranian targets in Syria. No special instructions had been given to the thousands of civilians enjoying the day and no warning siren was sounded. However, the IDF was prepared, operating the recently upgraded Iron Dome to cover the Mount Hermon area. While the primary targets of the Iron Dome system are short-range rockets and other artillery rounds that have been successfully intercepted, like the Iranian surface-to-surface missile on Sunday, the job should be done by the David Sling missile defense system. This system became operational two years ago and was first used last year against two SS-21 Tochka tactical ballistic missiles launched from Syria. But, they missed their mark and it has not been used since then. Israel should stop its “arbitrary” strikes in Syrian territory, which are against the region’s interests and could spark new chaos, the Russian Foreign Ministry said Wednesday. The comments by Foreign Ministry spokeswoman Maria Zakharova came days after a flare-up between Israel and Iran on the Syrian frontier. She added that Syria should not “become an arena for settling geopolitical accounts.” Israel has said repeatedly that its airstrikes on military and terror targets in the war-ravaged nation are aimed at curbing Iran’s efforts to entrench itself militarily in the country. Russia on Tuesday slammed a planned US-Polish conference on peace and security in the Middle East as “counterproductive” because of its focus on countering Iran, and said it would not attend. US Secretary of State Mike Pompeo has announced plans for the major conference in Warsaw on February 13 and 14 to be attended by ministers from a dozen countries. Addressing the UN Security Council, Russian Ambassador Vassily Nebenzia said the conference would fail to bolster Middle East security because of its “one-country aspect” and failure to address the Israeli-Palestinian conflict. “Attempts to create some kind of military alliances in the region by holding conferences and focusing on having a simplified unilateral approach that is clearly linked just to Iran are counterproductive,” Nebenzia told a council debate on the Middle East. Such a move “just further pushes away the prospects of finding a genuine security architecture for the region,” he added. In Moscow, the Russian foreign ministry released a statement saying Russia would not attend the meeting which is described as an “anti-Iran platform” and a bid to create conditions to weaken the Iran nuclear deal. “Why has that conference not invited Iran, which is one of the most significant and large countries in the region?” asked Nebenzia. Iran has reacted angrily to the planned conference and warned Poland that it could face consequences for hosting the gathering. Syria’s envoy to the United Nations warned Tuesday that if the world body did not halt Israeli strikes on his country, Syria would retaliate with an attack on Ben Gurion International Airport outside Tel Aviv. Speaking at the UN Security Council after a series of IAF airstrikes on Sunday and Monday — most of them launched after an Iranian missile fired from Syria was intercepted over the Israeli Golan Heights on Sunday afternoon — Bashar Jaafari said Israel was only able to act freely in Syria because it had the backing of the US, UK and France in the Security Council. “Isn’t it time now for the UN Security Council to stop the Israeli repeated aggressions on the Syrian Arab republic territories?” Jaafari said. The United Nations Relief and Works Agency for Palestinian Refugees is unaware of any decision to close its schools in east Jerusalem, a senior UNRWA official said on Wednesday. Last week, Hadashot TV reported that the US National Security Council has decided that permits to UNRWA schools in east Jerusalem will be revoked starting next school year. Former Jerusalem Mayor Nir Barkat had also proposed ending UNRWA’s activities in the city. The Jerusalem municipality, he said, will provide health, education, welfare and sanitation services to all the Arab neighborhoods in the city. Sami Mshasha, chief of communications and Arabic language spokesman for UNRWA, said in response that at no point since 1967 have the Israeli authorities challenged the basis on which UNRWA maintains and operates premises in east Jerusalem. Israeli military officials initiated legal action today against a group of Gaza Strip activists who used images of IDF soldiers without consent in propaganda videos edited to imply the wanton killing of Palestinian rioters, and asked the court to impose on the terrorist organization payment of wages for the appearance of its soldiers in the group’s fictional video productions disseminated as factual in global media. The motion in Magistrate’s Court petitions the authorities for the assessment of per-appearance fees on Hamas and the propaganda operations of related groups commensurate with the use of the images of Israeli soldiers in clips that purport to show Israeli military personnel targeting Palestinian demonstrators without cause. The lawsuit demands payment from the video producers for the appearance of Israeli soldiers on camera, in addition to punitive fees for the use of those images without prior consent. IDF Spokesperson Maj. Tvia Kaspit told reporters that the army had documented more than forty cases over the last year in which Palestinian or pro-Palestinian propagandists had spliced footage of Israeli soldiers firing with other staged footage of Palestinian protesters getting hurt, or, more frequently, Palestinian actors pretending to get hurt. In none of these cases, she noted, did the producers of the videos seek permission for the soldier to appear. The United Nations' envoy to the Mideast said Tuesday that peacekeepers in Lebanon have not been given access to tunnels stretching into Israel, which U.N. officials say violate a cease-fire resolution that ended a devastating war between Israel and Hezbollah in 2006. He did not say whether Lebanon's government or the Hezbollah terrorist group was blocking access for UNIFIL, but U.S. Deputy Ambassador Jonathan Cohen blamed the government. "We commend UNIFIL's work to keep the Blue Line under control, but it is unacceptable that the Lebanese government has not yet given UNIFIL access to the tunnel entrance on their side of the Blue Line," Cohen told the council.